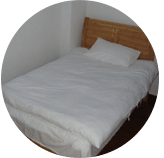 We provide latex mattress cleaning service that is available to all in Kuala Lumpur, Selangor and other parts of Malaysia. 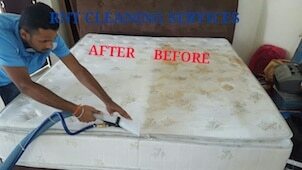 Our expert cleaners will clean and professionally treat your mattress at your home, to your satisfaction. How do you clean a latex mattress and pillow to extend its life span? Our latex mattress cleaner and treatment services is your solution. Latex mattresses are the ideal mattresses for allergy sufferers. They have a closed-pored surface so that house dust mites and other allergy pathogens cannot even settle there. But are latex mattresses and pillows hygienic at all, are they breathable and how can they be best cleaned? Notes on the cleaning rhythm. We can answer the question of hygiene with a clear “yes” with a clear conscience. Latex mattresses are even very hygienic because the dirt cannot penetrate them. Of course, they need – just like conventional mattresses – nevertheless a regular care. 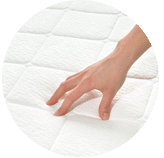 Every few weeks or months at the latest a latex mattress should be thoroughly cleaned. The best way to do this is always to change the bed linen anyway. Although the latex mattress is one of the low-mite models, regular cleaning is important. In this way, pest, bug, mold and bacteria can be avoided. At best, you provide a removable mattress cover and a topper. 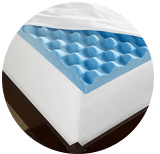 These absorb the most dirt as well as the highest amount of moisture so that the mattress would need only a slight cleaning afterward. If there is no topper, more frequent cleaning is necessary. First, wipe your latex mattress with a damp cloth to remove dust mite and other debris. Alternatively, the mattress can be easily removed. Then you can treat the mattress with a special care product. This is especially important so that the surface and the entire material retain their natural resilience and do not become porous, damage or brittle. 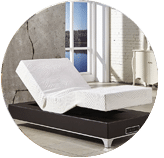 The care product is available either directly from the manufacturer or where you bought your mattress, sometimes in some well-stocked hardware stores. Latex is in itself a sturdy material that is very durable. Nevertheless, it is important to maintain it with preserving substances. These penetrate the surface and keep it supple. Without these special care products, the latex would become brittle and cracked over time. The latex must be kept smooth with regular vacuum and care products. When applying the care product, follow the instructions on the package. Pay particular attention to the correct dosage. For some remedies, it is important to let the mattress air out for a few hours, and it is best to open the windows for fresh air. Detergents vapor and foam, and these vapors, even if they are not harmful to health, can cause discomfort during your sleep at night and headaches. Likewise, attention must be paid to the use of a high quality eco product and the amount of water used. Failure to do so can not guarantee that the cleaner will not cause cracks in the material or make it brittle. In general, a latex mattress is considered very durable; However, one should not put this fact to the test by using inferior detergents. By the way, even a latex mattress will do well if you turn it over from time to time. Do not only apply from the top to the bottom, but also from the head end to the foot end. Just keep rotating with each cleaning, so the mattress is always used evenly and returns to its old shape. One-sided mattresses wear much faster and are also much faster though. Also recommended is the daily ventilation of at least 20 minutes after getting up during the day. Even from below, the latex mattress should be well ventilated. 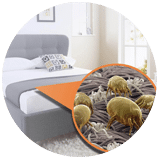 Get the deepest and thorough cleaning with our pro latex mattress cleaning services, using a powerful portable device specially designed to generate a high-power suction force, which removes and removes dust mites, dead skin cells and other debris that goes away accumulating in the mattress, pillows, and carpets. Please contact our friendly team today if you have any enquiries regarding our latex mattress cleaning and other work service, via call or send us a message right now for further information or get a new price quote. 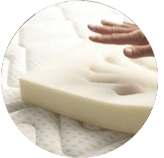 Our customer service team will reply to your request within a few working hours to find out more and discuss further about the latex mattress cleaning service that you require. Subsequently, we will issue you a quotation and an invoice for the latex mattress cleaning service. 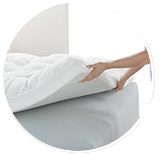 Our latex mattress cleaning service is available in Peninsula Malaysia from Kuala Lumpur, Selangor, Ipoh, Johor, Malacca and Penang. Speak to our team to enquire more about the latex mattress cleaning service that we provide in your area. I have a special request for the latex mattress cleaning service, can this be done? 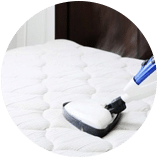 We understand that sometimes our customer have special requests for latex mattress cleaning service with regards to timing and other matters. In this scenario, you can contact our customer representative team at 017-232-6491 to discuss your latex mattress cleaning request.